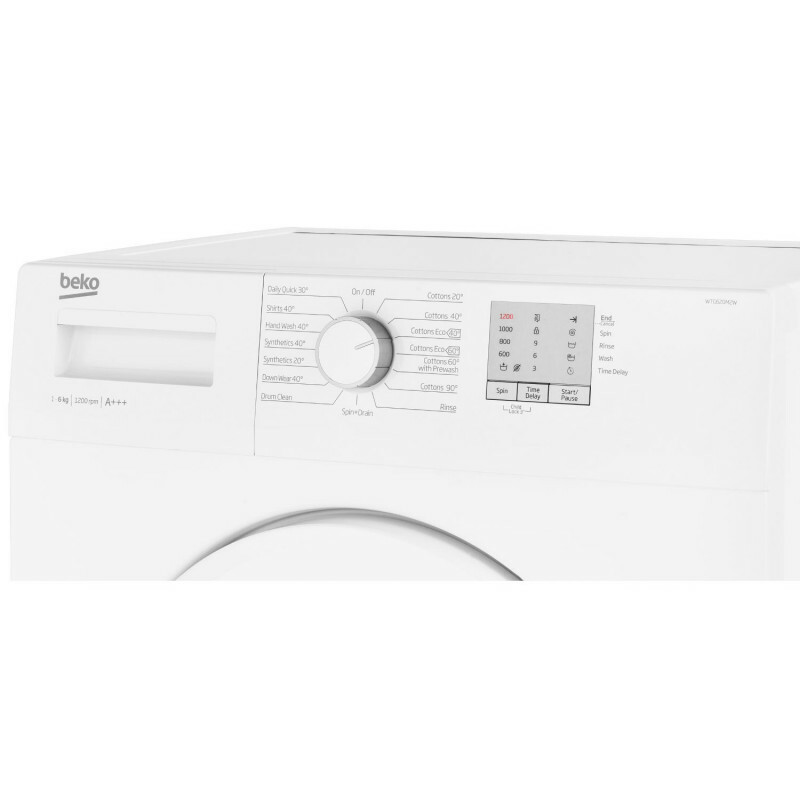 The Beko WTG620M2W Washing Machine is perfect for any smaller households and has a 6kg capacity to match the lifestyle. Thanks to its slim 41.4cm depth this machine can go almost anywhere and is nice and easy to install. 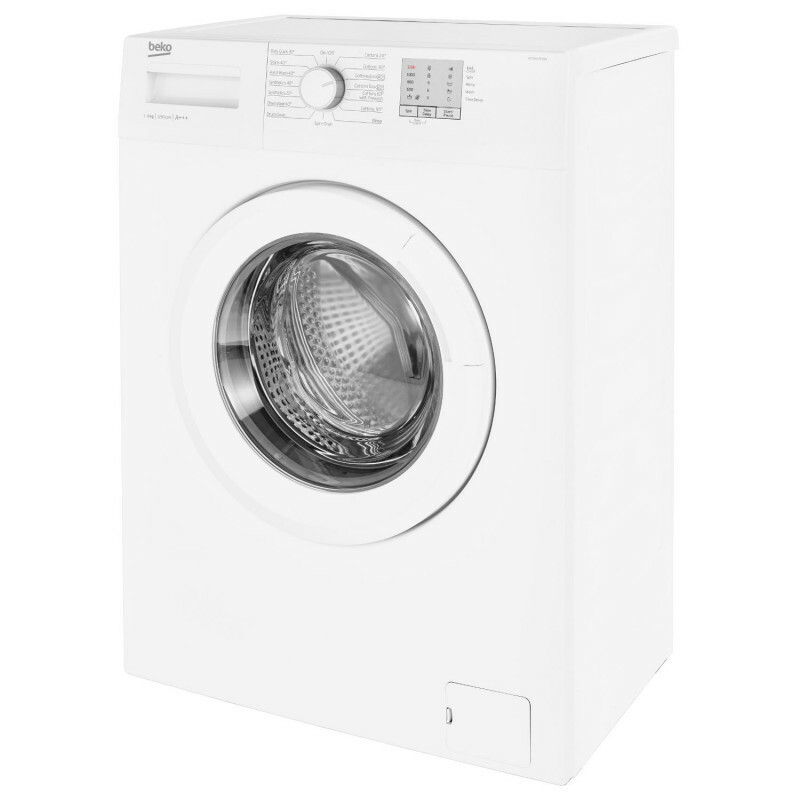 This straightforward machine can do a full 6kg load wash in just 28 minutes, so you can be sure of a quick turnaround. 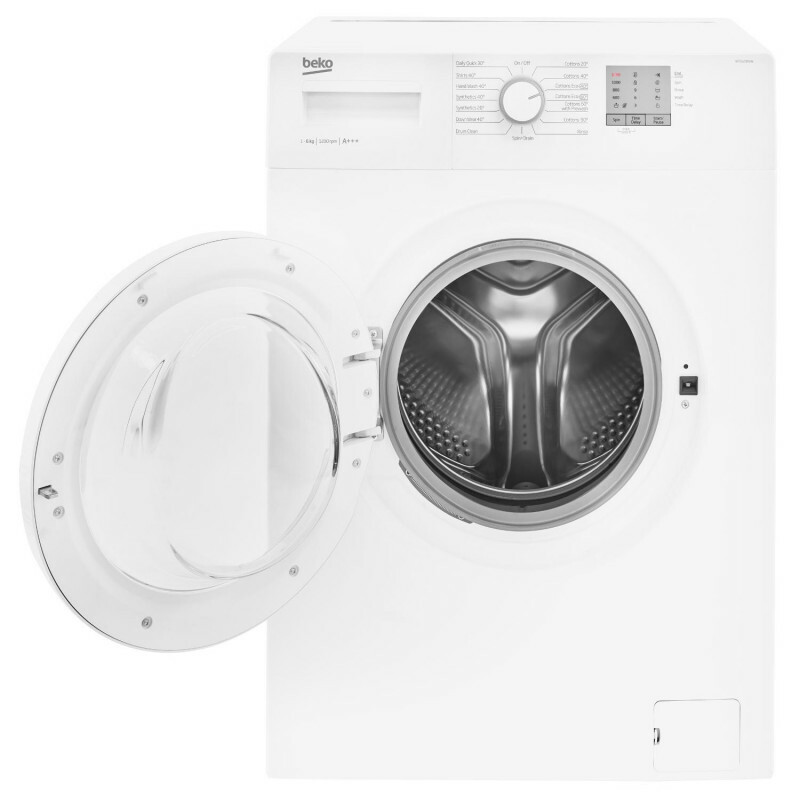 This machine as a total of 15 wash programmes which include washes perfect for Cottons, Woolens, Synthetics, Shirts and Down Wear so you know your clothes will be best cared for in this machine. 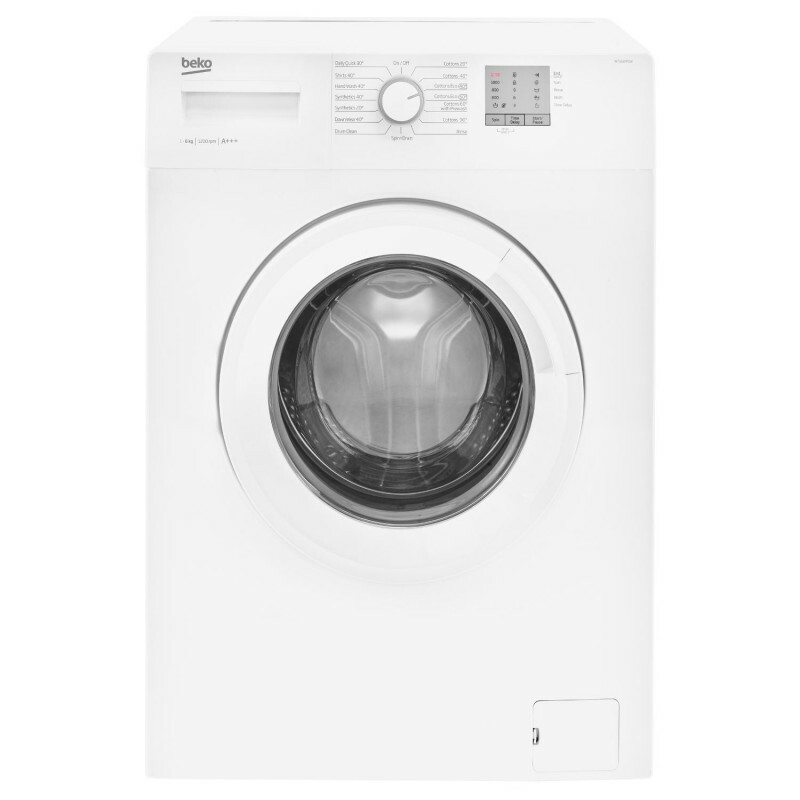 To keep the machine as good as new it has a Drum Clean programme to create a more hygienic wash. 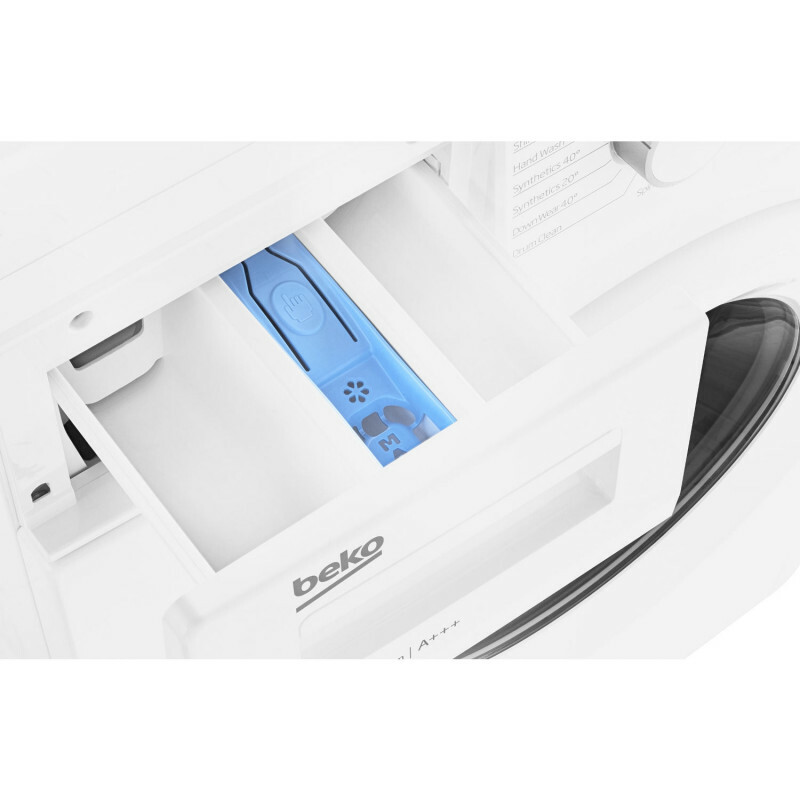 It works by removing any softener, detergent or dirt that has built up inside. 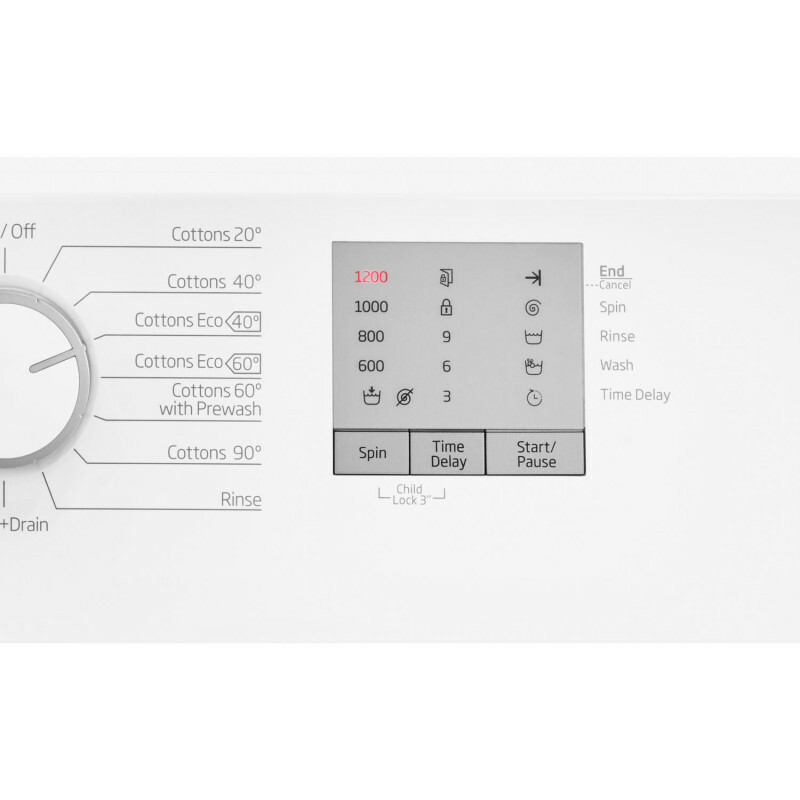 You know you can count on the Beko WTG620M2W to save you money and look after the environment with a fantastic A+++ Energy Rating and a automatic water level reduction feature. Thanks to its 3, 6 or 9 hour delay timer you can also have this machine going on through the night, great if your energy bills are lower at certain times.